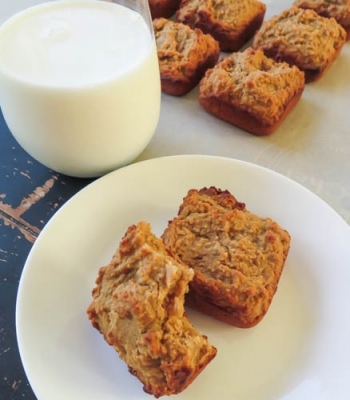 Try bringing these Gingerbread Blondies to the next Holiday party and see how fast they go! Preheat oven to 325 degrees. In a large bowl mix together almond flour, sorghum flour, stevia, baking soda, salt, cinnamon, ginger, nutmeg, and cloves. Next, make a well in the dry ingredients and pour in the eggs, coconut oil, molasses, and honey. Mix together until incorporated. Next, PAM spray a brownie tin and pour in the batter. Bake for 12-15 minutes, or until you insert a toothpick and it comes out clean.